Found this yesterday while clearing older business clothes from the closet. In a suit jacket pocket. 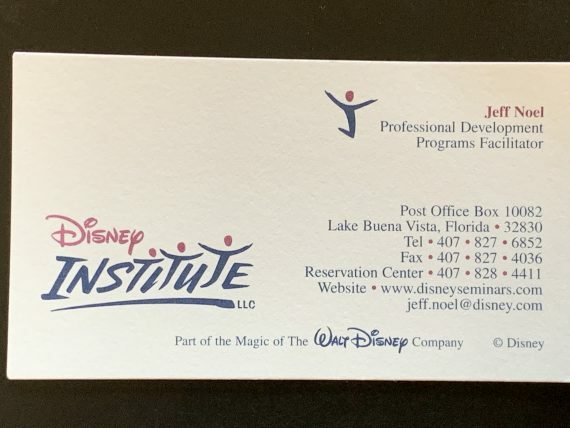 The figure in the old Disney Institute logo is named Ted. You won’t believe what you can do. Ted goes from trying to soaring in the Disney Institute logo. Simon T. Bailey 2019 Breakthrough Experience from Simon T. Bailey on Vimeo. Great speaker 2019 Promo video. Note to self, this is a powerful template. Put your own spin on the template. The greatest of all time. People remark about this all the time. People also remark about the “I’m going to Disney World” commercials. Being remarkable is a superpower. Recorded two episodes yesterday. One on Dreaming and one on Coaching. 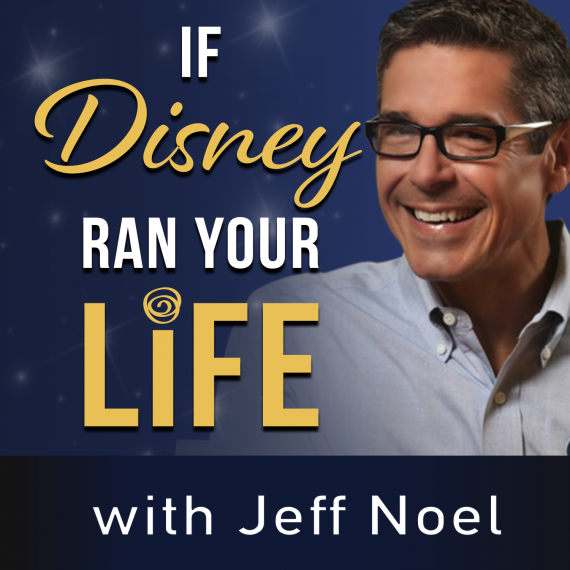 Launched If Disney Ran Your Life January 25, 2019. Have recorded six episodes, including number 5 and 6, yesterday. Until further notice, every Podcast episode we publish is considered part of the Cast Preview stage. Cast Previews are offered to employees when we (Disney) are close to opening something new (Theme Park, Hotel, Attraction, Restaurant, etc). Cast Previews are a Disney strategy to tweak and refine the Guest and Cast experience. It’s a critical success factor. My wife and i have always loved being among the first to spend a night, ride an attraction, take a cruise, or dine in a new place. So special and Magical. As we use it at Disney, so i am using it for the podcast. Sidenote: i didn’t launch with this in mind. Perfect example of 80 & go (Episode 3). If Disney Ran Your Life is a chance for you to develop new opinions about personal vibrancy, and to try out ideas among people with similar hopes and challenges. Jeff is focused on the big picture, but he has the experience and passion to help you .think .differently about everything, and challenge you to take calculated risks and turn desire into action and action into change – small, practical steps you can take to develop new habits, stop old habits, and modify habits that can use refinement, as you seek to build a more balanced life. Imagine your once-in-a-lifetime opportunity to partner with someone from one of the most (#4 in 2018) admired companies in the world, who has been teaching global leaders since 1999 about organizational vibrancy, and who has translated Disney’s time-tested business principles into practical, common-sense blueprints for you to use as you pursue personal vibrancy. There’s a chance by the time this goes live in two months that the email subscription opportunity will be public. i tried it yesterday. Two Podcast recording topics today.